Have you put a lot of time and energy into driving traffic to your website? Would you like to ensure that every person who visits your site has the highest chance of becoming a paid customer? You spend a bunch of money on social media marketing, Adwords, Facebook Ads and inbound marketing. And while optimizing those traffic sources is essential, it's equally essential for you to optimize the place they're going - your website. By implementing these five strategies you'll take whatever traffic you're driving and get more results from it. Simple as that. First and foremost you need to design a website which is optimized for conversion. Because "designing for conversion" is such a massive subject I won't dive into it too deeply within this article. I have put my "related reading" recommendations below. Use professionally-created layouts: Whether it's a Wordpress plugin, a freelance web designer or your own skills, no factor puts off your hard-earned traffic faster than a website which looks like it was created in 1998. Create ample opportunity for conversion: Don't hide your pricing, signup or product conversion goals. Make CTAs prominent and frequent and conversion paths straightforward. Err on the side of minimalism: Until proven otherwise (see essential element #5) keep your website as simple as possible: less text, fewer pages, larger value-oriented headlines, etc. Use Psychology: We make a lot of decisions online based on our subconscious. Color, text, layout, messaging - it all adds up to a rashly bought magazine in the grocery aisle or a Ferrari we really didn't need. Check out the Complete Guide to the Psychology of Conversion Optimization for more. Test: An A/B testing tool (Visual Website Optimizer, Optimizely, etc) costs about $75 a month (for 10,000 monthly visitors). You'll make that money back in your first test. 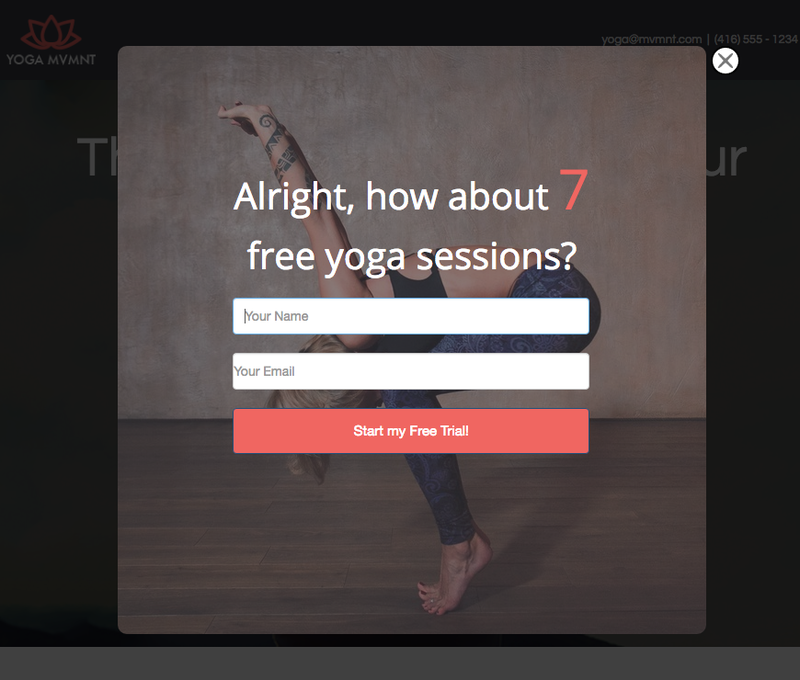 Check out 50 A/B Split Test Conversion Optimization Case Studies for inspiration. For more on the psychology of conversion-optimized design, check out my Complete Guide to the Psychology of Conversion Optimization. For design principles specific to landing pages, check out The Data-Driven Guide to Landing Page Design. The most critical element of doing more with your website traffic is sending them somewhere that's focused on conversion. If you're sending your ad traffic, blog traffic, outreach traffic and SEO traffic (everyone who sees your brand name and clicks on it, say) to your homepage, you're likely missing out on hundreds of thousands of dollars. So when someone clicks on a link for your site from one of those places, you need a page dedicated to eliciting a relevant conversion. We call that a landing page. 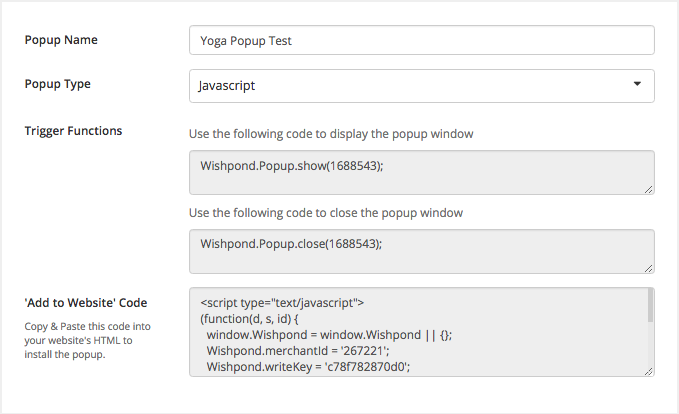 Wishpond has been using popup overlays for more than a year now, and they've had an incredible influence on the conversion rates of our whole site. From blog to pricing and even the billing page, we've used popup overlays everywhere, and always seen an improvement. Sure, they're controversial. But have you noticed how many blogs and websites out there are using them? That's a 22% increase on our pricing page conversion rates. It translates to several thousand dollars a month in increased revenue. So if I can do this, so can you. No matter your skill level. Because someone who visits your product or pricing page twice in three days but doesn't convert is someone very interested in what you have to offer. They just need that extra push. 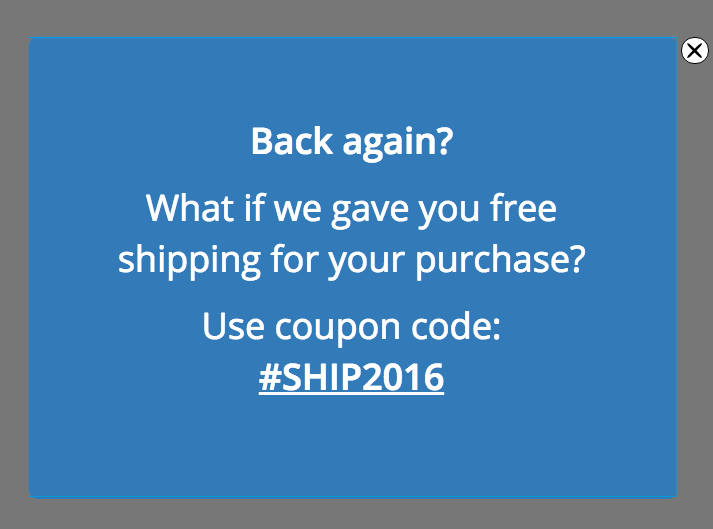 And if we showed everyone an entry popup on your pricing or product page we'd just infuriate people. 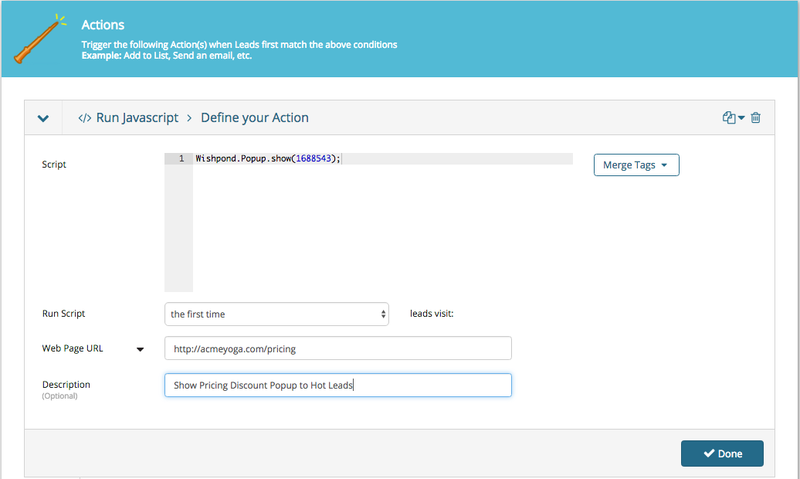 We've found that the best way to define a hot lead is based on multiple visits to a pricing page. For B2C companies, however, you may find that anyone who visits the same product page multiple times may yield better results. Boom. That's it. 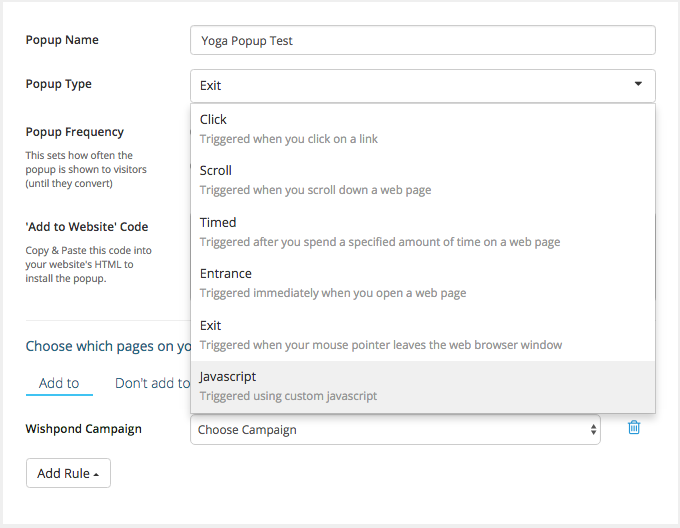 This will trigger an entry popup to show exclusively to Hot Leads. That, my friends, is advanced website optimization with little to no fuss. You can do it. I believe in you. And you'll thank me if you do. But, if you really want to succeed with online marketing, you'll fight tooth and nail for every one of those people who visited you. You won't go down without a fight. Remarketing allows you to give it everything you've got. Remarketing (either on Google's ad display network or the Facebook platform) enables you to focus an ad campaign on people who have already viewed your site and left. Essentially, you install a bit of code (called a remarketing pixel) in the backend of your site. When someone visits the page with that code in it, their browser is automatically stuck with another bit of code. If they leave your site without visiting a conversion page (like a "Thank you for Paying!" page) then the next time they travel to one of the sites within the Google Ad Display network, or Facebook, they'll see one of your ads - tailored specifically for them. We're currently paying about a dollar for everyone we drive back to the website. Except, of course, we have a campaign-specific landing page for all remarketed traffic. So we're converting far more of them than we would be if we were just sending them back to our homepage. For more about remarketing, check out What is Ad Retargeting (Remarketing) and How Does it Benefit My Business? For a more specific guide, try 3 Ways to Use Retargeting to Find Success Online. Hopefully these five strategies will mean you get more out of the dollars you spend driving traffic. What is Ad Retargeting (Remarketing) and How Does it Benefit My Business?